Microsoft looking to buy AMD. Why not? Microsoft may be looking to buy AMD, according to a source familiar to the matter and quoted by tech news website, Kitguru. The two have apparently been talking for a few months with the result of the talks still "unclear" at this stage. 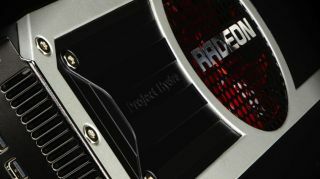 It was only last week that another rumour surfaced about AMD looking to spin off its GPU business unit, the one formed after the acquisition of ATI. What's also unclear is why Microsoft would buy AMD, even if the latter is worth only a tiny fraction of what the company has in the bank. The Redmond-based company has been exiting the non-core business (including online advertising and mapping) and going into hardware seems to be risky at this stage. Unless Microsoft wants to copy Apple that is. Owning the entire ecosystem is what makes Apple unique on the market and Microsoft, with the acquisition of Nokia and the launch of the Surface brand, might be looking to emulate its archrival. Games, and more specifically the Xbox, could be the catalyst of such an acquisition. Intel is likely to throw a fit if its long-time partner decides to become a fabless chip designer as well. Microsoft already has an ARM license so it could potentially design its own chips if it wanted to.